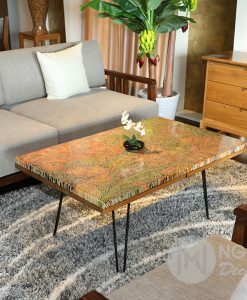 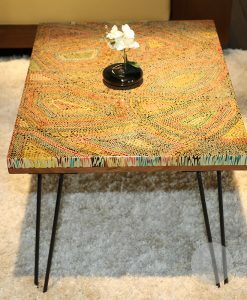 Being the successful crossbred of wood and colored pencils, Mountain Woodland Colored-Pencil Coffee Table is the unique and luxurious artworks made by Nguyen Moc Décor’s experienced artisans. 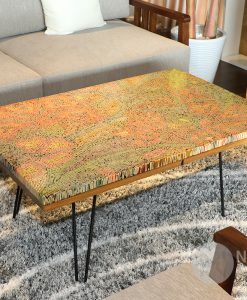 Mountain Woodland Colored – Pencil Coffee Table is an excellent choice for your living room space, which is also an ideal gift for your relatives or colleagues and your boss. 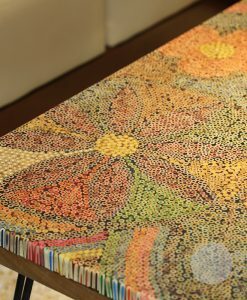 With a unique design, inspired by rustic grain, pencil texture is like the flowers blooming in the wood: beautiful, vibrant, elegant. 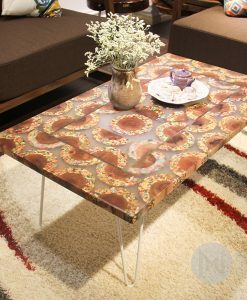 All of them are like the essence of Mountain Woodland. 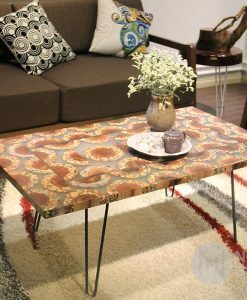 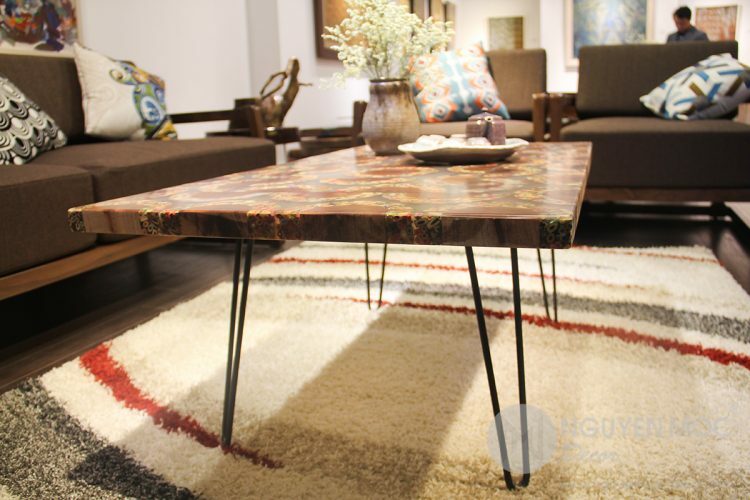 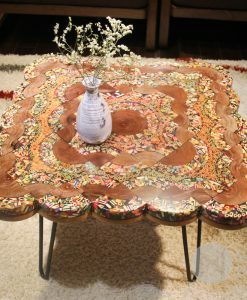 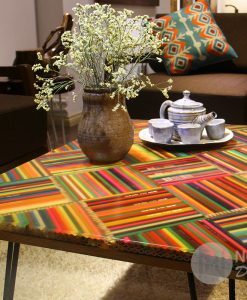 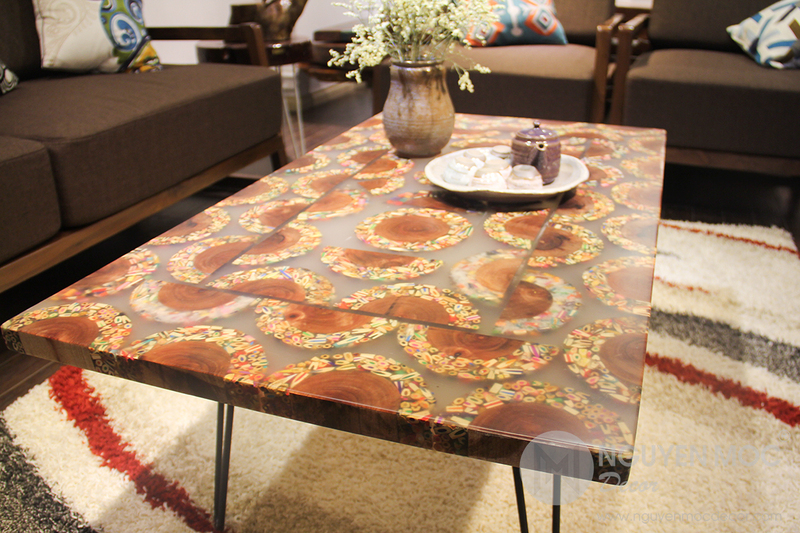 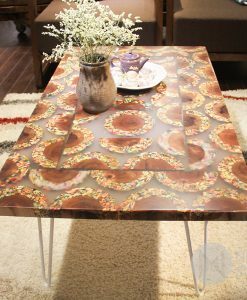 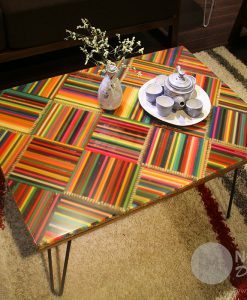 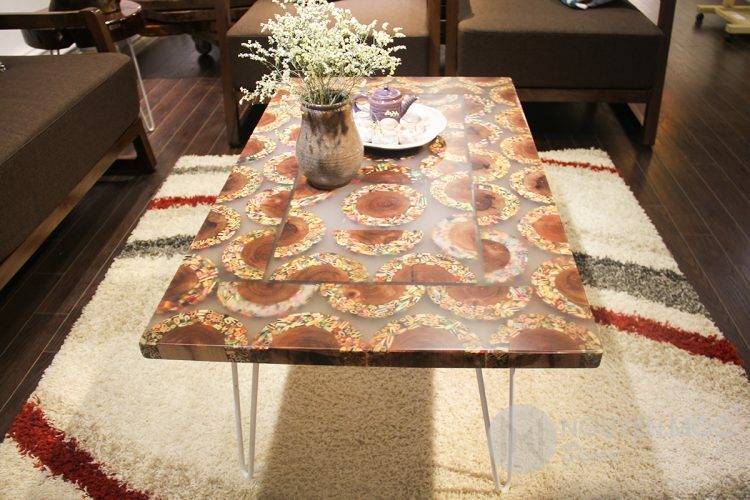 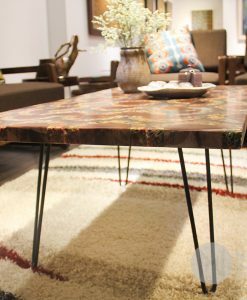 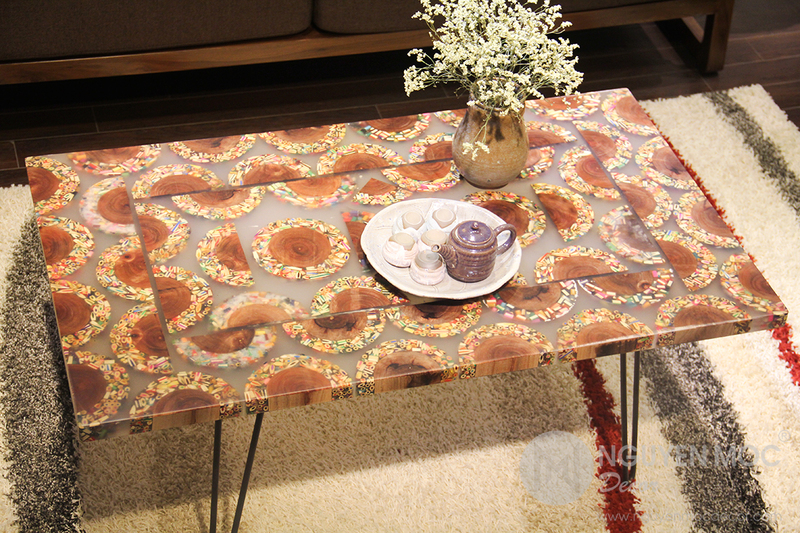 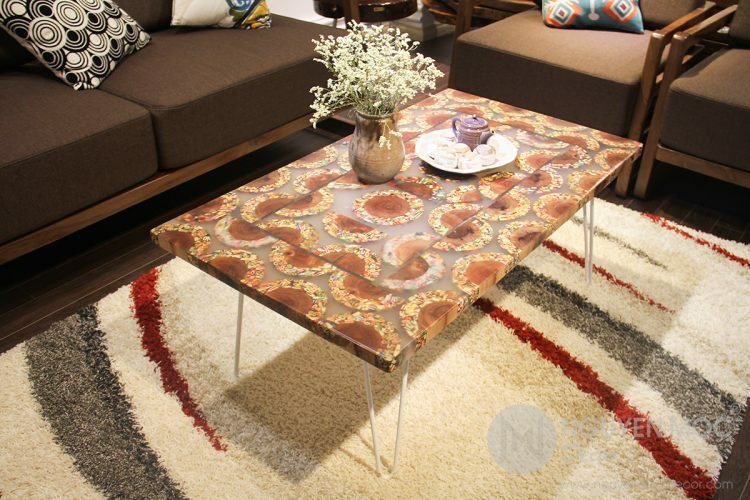 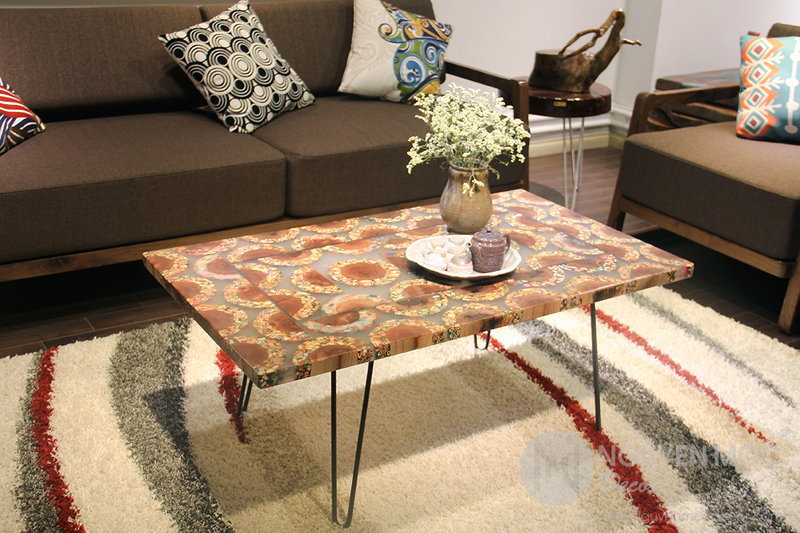 Nguyen Moc Décor has worked hard to make this table for 16 days. 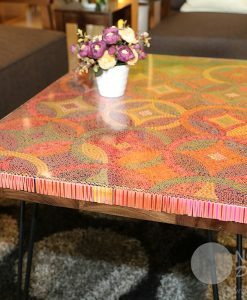 If you have any questions, please do not hesitate to contact us! 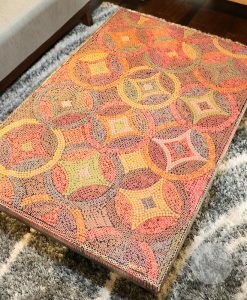 Mountain Woodland Colored-Pencil Coffee Table – the luxurious furniture for your beloved living space. 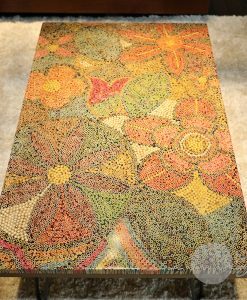 The marvelous artwork still looks perfect even from the fastidious photographic angle. 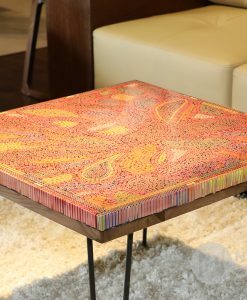 No matter what color the hairpin legs are, it does not influence on the unique charm of the Mountain Woodland Colored-Pencil Coffee Table. 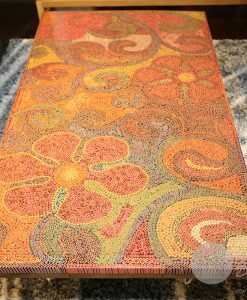 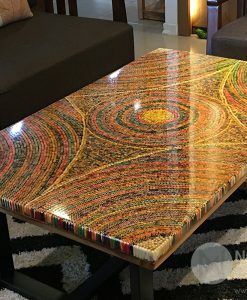 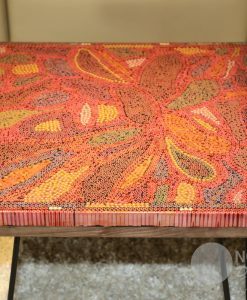 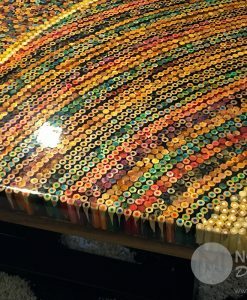 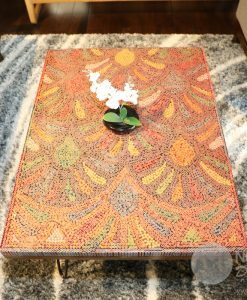 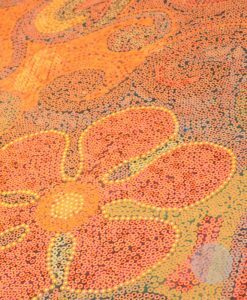 Looking down from above, the Mountain Woodland Colored-Pencil Coffee Table shows the harmonious beauty of combining colored pencils and wood. 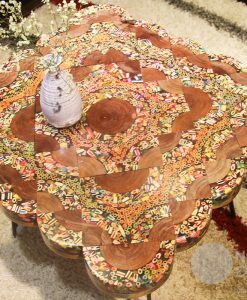 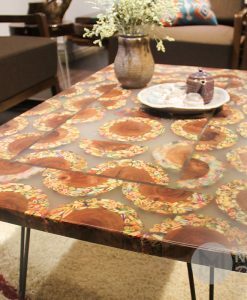 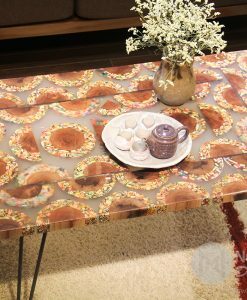 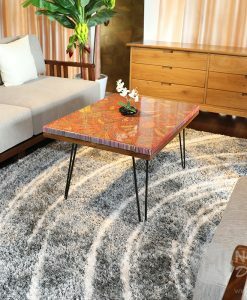 Zooming in, you can see the meticulousness of Nguyen Moc Décor’s artisans when they castigated each edge and corner of Mountain Woodland Colored-Pencil Coffee Table. 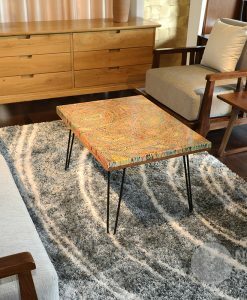 The hairpin legs look thin but truly steady, strongly propping up the weight of Mountain Woodland Colored-Pencil Coffee Table without the metal rust.